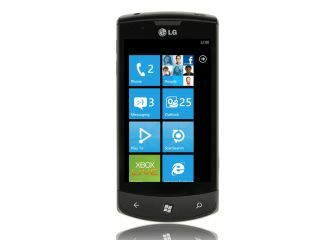 Vodafone has announced that it has got exclusive deals to sell two of the latest Windows Phone 7 handsets, with the HTC 7 Trophy and LG Optimus 7 both toting the latest platform from Microsoft. The arrival of Windows Phone 7 has brought slew of announcements, and Vodafone is pushing its two exclusive handsets. First up is the HTC 7 Trophy, which will be offered for no additional fee on a £25, 24-month price plan. The phone offers a 3.8-inch WVGA capacitive touchscreen, a 5-megapixel camera and 16GB of onboard storage. Secondly the LG Optimus 7 will also bring a 3.8-inch WVGA capacitive touchscreen, 5MP camera and 16GB of onboard memory. As you may have noticed – that's exactly the same specs, so it's really going to come down to price – and the LG Optimus is available on the slightly higher £30 24-month tariff, although it gets you more minutes (600, to be precise). "Both phones will be packed with the full Windows Phone 7 experience, which is designed to bring together what you care about most," adds Vodafone's release. "Windows Phone 7 devices find and present information when you need it and at a glance.They organise what you love so finding those things is easier and faster. "Windows Phone 7 simplifies basic every-day tasks – like managing email or taking and sharing pictures – so you can do more in fewer steps. "With Windows Phone 7, the things that matter most like people, games, music and video, photos and office productivity are organised through integrated experiences known as Hubs and fueled by the rich experiences of Xbox LIVE, Zune, Bing, and Office."